what's happening in Bansko this season? Book in advance for 2020 & benefit up to -20%! Winter in Bansko is just magnificent! The first snowfalls cover Pirin’s mountaintop and the longest ski period of the Balkans begins! The fireplaces are ablaze to warm you up after your day of frolics in the snow and the cups of warm cocoa await to cheer your wind stricken cheeks! From December to April, when the weather is cold and the snowfall is thick, Premier Luxury Mountain Resort is the perfect setting for a comfy, cozy and active winter holiday, as well as prime choice to celebrate Christmas and New Year’s with glamorous events and galas that reflect the cheerful mood of the season! Take advantage of the VIP Ski Passes which our Hotel provides only to our guests and make the most out of your holidays! Welcome to the lavish world of Premier Luxury Mountain Resort, a 5-star Hotel and the only member of Small Luxury Hotels member in Bansko, Bulgaria. Get ready for an all year round magic trip to a world of hospitality enriched with activities suitable for nature lovers, families and sport aficionados. Mount Pirin’s natural beauty, combined with Premier Luxury Mountain Resort’s impeccable facilities and welcoming ambience result in a retreat that elevates your vacation in Bansko, Bulgaria to a higher level of indulgence! Travelers can also experience Pirin National Park, the famous Unesco World Heritage site, which is just a breath away from the resort. This holiday experience will certainly become a cherished memory of a place you will always wish to return to! What makes Premier stand out? The reasons are countless but let’s point out what makes Premier Luxury Mountain Resort a unique accommodation choice in Bansko, Bulgaria! The warm welcome and effortless smiles by the people of Premier Luxury Mountain Resort! The comfortable and elegant rooms and suites! The palate-pleasing dishes of our restaurants and bars. The convenient location at the foothills of Mount Pirin offering easy access to the ski center as well as the town of Bansko! The all year round variety of activities available. The indulging massage therapies and beauty treatments at Le Spa. The state of the art venues for all corporate meetings and memorable events. The special offers and affordable packages for stylish vacations all year long! The happenings and special events organized by the Premier Luxury Mountain Resort! Your departure with smiles, beautiful memories, a relaxed spirit and the promise to come back! The exclusive VIP Ski Pass providing immediate access to the off-shore ski resort, available at premium rates only for our hotel guests. The atmosphere around Premier Luxury Mountain Resort varies depending on the season! The warmth and coziness of wintertime turns into the blossoming freshness of spring; in its turn to the carefree joy of summertime and the romantic allure of autumn! The indoor and outdoor premises of Premier Luxury Mountain Resort co exist in harmony and respect with the surroundings, honoring nature’s beauty. Challenge yourself in seasonal activities, savor in delicious dishes prepared with fresh, local ingredients, or pamper yourself with luxurious beauty treatments; all in the loving atmosphere of Premier Luxury Mountain Resort. Every day is a new adventure in Bansko and the Premier Luxury Mountain Resort! Every moment presents an opportunity for a new discovery; every corner hides a new surprise! You can choose between an exciting day full of activities or a relaxing and carefree day of leisure; the possibilities are endless. From festive winters in the snow filled slopes to warm summers sunbathing by the pool, springs full of fragrant flowers and mysterious autumns with an enchanting allure, Bansko is the all-year-round destination you will never want to leave! One of the visitors' favourite experience is explring Pirin National Park, the famous Unesco World Heritage site, which is just a breath away from the resort. Premier Luxury Mountain Resort will be your home away from home in this premier holiday destination! When the time comes to evaluate your holiday, it all comes down to one element, the most important element of all; the concierge services. 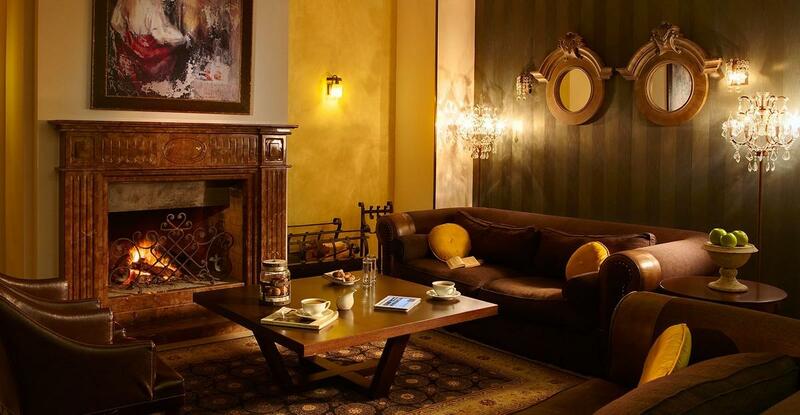 Here in Premier Luxury Resort in Bansko, Bulgaria we take care of you during every single minute of your stay! We are by your side to cater to you every need, such as arranging personal transfers or bus shuttle transportation, helping you pick and plan an activity, reserve event tickets or simply offer information! For schedules, availability and pricing, please consult our reception. There is no task too big for the Premier Luxury Mountain Resort concierge, and that is not a promise but our commitment to efficacy and excellence! Our hotel also provides a number of more sophisticated services to enhance the convenience of your stay, such as the exclusive VIP Ski Pass for ski lifts, personal concierge, babysitting services and Animation for children. For requesting more information, availability and prices, please contact our reception. You will definitely promise to return! A promise to return to Bansko! 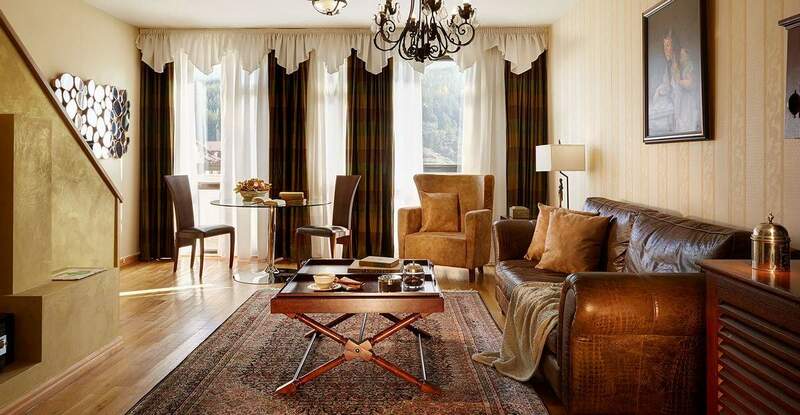 Attention to detail, comfortable furnishing, stylish décor, luxury and elegance along with modern amenities are found in each and every one of the 22 different room and suite types of Premier Luxury Resort in Bansko, Bulgaria. Friends searching for the best accommodation to rest after an active day, families looking for a safe and sound room, honeymooners in pursuit of a romantic retreat, executives participating in a business meeting find in Premier Luxury Mountain Resort the ideal room or suite, tailor-made to their particular needs and wishes! PREMIER rooms & Suites are divided in 4 unique categories, offering different room types, in-room amenities and service. Our rooms & suites are divided in Smart Collection, Executive Collection, Residence Collection and Premier Collection and offer the best of all accommodation worlds. Bansko is the place to be; make the Premier Luxury Mountain Resort your resort to be! leisure by the indoor swimming pool, working out at the gym and so much more elevate your mood and heal your body and spirit! Do not waste time; book an appointment for a massage or a sauna detox session and leave all else behind! Two restaurants and a bar are the gastronomic havens in Premier Luxury Mountain Resort in Bansko, Bulgaria. Whatever mood you may be in, the Dionysos and Amvrosia Restaurants will offer you such rich, fresh and delicious tastes that will delight your palate and leave all your senses exulted! The Premier Luxury Mountain Resort restaurants will guide you on an unforgettable gastronomic trip around the world! As for your aperitifs, cocktails, drinks and beverages, the Nectar Bar is open and ready to indulge you with sips of liquid pleasure! Summer in Bansko is delightful! The Mount Pirin’s forest is all green and lavish! In Premier Luxury Mountain Resort the doors are open and all the action is transferred outdoors! The luscious fragrance of the trees and flowers, the refreshing crystal clear air, the sun beaming all over the resort! 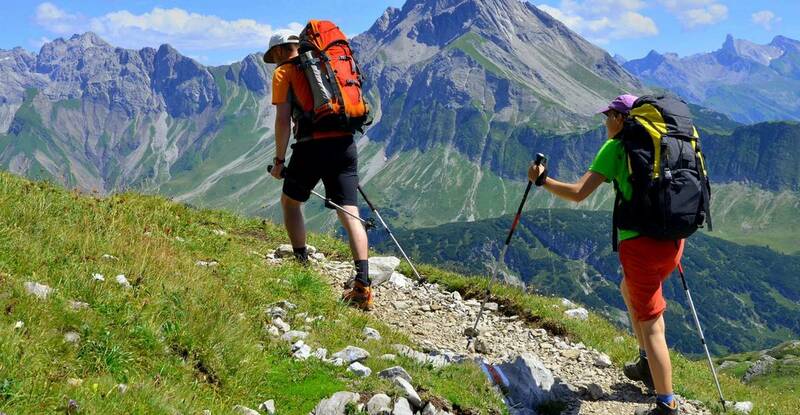 Spent your summer holidays in Bansko and Premier Luxury Mountain Resort; relax by the swimming pool, enjoy the sweet summertime, savor the fresh fruit and vegetables at the restaurants and the bar; hike, ride, and explore Pirin National Park, the famous Unesco World Heritage site; make a fresh start and become a whole new you!! !